Being delayed by Johns alternator problem meant we were in Middlewich for the annual festival which was quite nice and attracted a lot of boats. 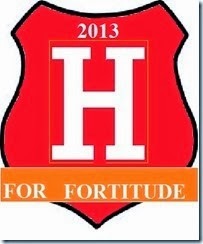 All over the town at variouse venues some being halls and others marquees music of all types was being played. Many of the pubs had continuse entertainment from the friday to sunday night. Down by the canal a large grassed area housed a large cicus tent that gave anyone a chance to juggle and try their hand at variouse cicus stunts. Also in this area was the horse boat society giving a talk and demonstrating harnessing and the control of the horse using only voice commands, very impressive and most enjoyable. Anyway in the last week or so we popped up the Caldon canal and being in the Churnet Valley the reception for TV, phone and internet was poor and at times non existant. Coming back we had to use a section of canal that a river also used and because of the heavy rain of late.......so much for flaming June..........the river name of which escapes me at moment was in flood and we only just got under the bridge you can see Nb VALERIE moored by at the top of the blog and then i had to remove stuff from the roof. So having cleared the bridge by no more than a half inch, yes half inch it was that close the next 2 miles was hard goimg against the flow and was i glad to see Tina/Andy at the lock where the river flowed into the canal waiting for me with the gates open as the lock moorings were under water! Anyway i am sitting in a library doing this blog because with so many pictures to show it is so much faster on a landline with Broadband speeds. Where we are moored at the moment is a good internet signal so i must get a picture of Molly and tell you about a bit of trouble with the boat on the next blog. So i will leave you to look at the pictures. This is `HOLLY` a hire boat of Middlewich narrowboats. 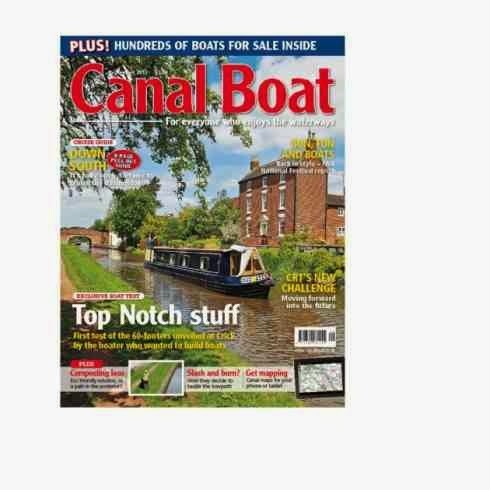 Now Holly is famouse all over the canal system as earlier in the year she was stolen by a chap who hired her leaving his van in the boatyard car park and paying by credit card and i am told having hired from the yard before. He was traced on the South Oxford canal having painted the boat and altering the inside. The canalworld Forum i belong to played its part in tracing Holly so she is now known all over the system. Tina holding an Owl that the handler told us was capable of taking a Fox. Ahoy shipmates. Lot of boaters have Parrotts on board. Kings Lock pub was our local during the festival. The top picture was also taken at the pub. Taking this picture i am standing on the Trent & Mersey, well not in the canal but on the bankside and from the bridge to the lock in the distance flows the shortest canal around. The Wardle Canal flows for about a hundred or so yards. Now what happened is that in 1826 the Ellesmere & Chester canal co. now known as the Shropshire Union wanted to build a branch into Middlewich from their canal at Barbridge. The Act that gave them permission forbade them going closer than 100 yds to the Trent & Mersey canal. (owner) moving all sorts of cargoe around the system. I had many a chat with Maureen both in the pub and outside the cottage and boy had she some tales to tell, her childhood was a facinating tale in itself but that`s not for me to tell here. it would be any good to put my dinette place mats on. Now as you know place mats are larger than CD`s and would keep falling off the boat so i cut the boat in half and as you can see i now have a home for the mats and coasters. While we have been hanging around getting Johns alternator sorted - ok now by the way - i managed to get a button fender made up by a boater i met several times over the last couple of months by the name of Mal Edwards MBE, yes MBE we have some mighty fine people on the cut, his honour came through charity work. While downloading the pics to my laptop i noticed some other things i have done over the last few months i thought you might like to see. was when going up in a lock the boat tends to go forward as the lock fills and hits the cill and this can after a few knocks cause damage. The pic above shows a boat in a lock and the bow fender up against the gate but if you look at the waterline the lower bow is up against the cill so you can see in the top pic my extra fender would be on the cill not my bow. Of course if you have crew to do the locks you could remain at the tiller and use the engine to keep the boat back from the cill but as i am all alone Aaarh i cant be up top and aboard. I `ve put this light on the wall above the dinette to give a good light when doing my blog ( it`s on now) or just spreading the newspaper out. It uses less power than the four overhead lights and also the light is directed where i want it. The wire is concealed in the hardwood strip that i channelled out on the back. This door panel is in the back of the dinette on the kitchen side and is held in place with magnetic catches. When removed it gives access to space below the dinette seat and holds my toolbox. It`s much quicker to access than removing the seat cushion and seat panel. These 3 angled shelves at the end of the sink unit fill a dead space as you walk past the dinette and turn left into the kitchen area. Well folks as i sit here at midnight in Cheshire the rain is coming down heavy with plenty of lightning and having done a few locks today on an empty stomach we all went to the pub this evening - yes Bev i know what`s new - and had a roast lamb carvery. Like to say hello to Elsie who came upto me at a lock to say she reads the blog. Happens now and again and it`s always nice to meet a reader. Oh just remembered we have all decided to head done to Gloucester now and not York as original plan, but that`s what this life is about freedom and the right to change your mind. I have made a few changes to the blog layout, one change is the pic i have added to the heading. 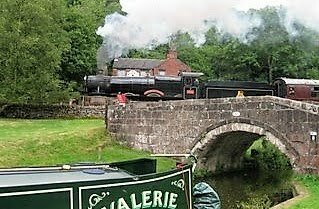 The pic was taken on the Caldon canal last year and shows NB `VALERIE` moored outside the Black Lion pub at a point that the Churnet Valley Railway crosses the canal in front of the pub. I had seen a pic of this scene in a waterways mag and decided to capture the same scene with my boat. Having all met up at the top of the boat lift after our different lift bookings we set off south on the Trent& Mersey. The delay we now have is the failure of the alternator on Johns boat `TUI`. At the moment it has been sent away for repair. Poor John is not having much luck of late having only a few weeks ago replaced his leaking calorifier(hot water tank) at a cost of £250. been sunk and left. The original edge of the canal in some places is just below the surface and in the pic taken as i cruised by the canal edge is about halfway between me and the sunken boat. Bridges and roads in the area have been raised several times over the years because of the subsidence. In 1958 the canal was re-routed for a half mile and some months later the area of the old route collapsed leaving a large crater full of water. only British Waterways is used. Also in the bottom right can be seen the name LEEDS before the number nowadays we use an std number. Wondering when did these number changes start? After coming off the Llangollen we spent the May Bank holidayw`end at Nantwich and what a wet couple of days that turned out. Sitting on board relaxing i felt sorry for the holiday boaters going by in the rain trying to make the most of their short time afloat. After a few days moored up we all decided to head upto Anderton and go down the boat lift onto the R. Weaver as Andy/Tina had not been on the lift before. The lift takes 2 boats at a time from the Trent& Mersey canal down to the Weaver. Arriving at the booking office we found that there were 3 slots vacant enabling us all to go down the same day. At 13.45 i went down with Andy/Tina and John followed on the 17.30 decent. There are 9 up & down passages each day except on Wednesday when the first 3 each way do not run due to maintenance. Coming back we had to take 3 seperate lift times spread over 2 days so a coin was tossed for choice of time slots. John ended up having to stay overnight at the bottom of the lift and in the pic below that i took from the top he can be seen moving off to find a mooring. The lift passage can be pre-booked for a fee of £5 but no charge is made if you arrive and take a chance on a vacant slot. I prefer to take a chance because i don`t want to be tied to a time schedule, not my idea of freedom. At the top of the lift the seat above has been provided and below you can see the top is a Mosaic story of the salt being mined and transported up the lift. Also in the same area a living Willow seating area has also been created. So the weather has been good and as you can see in the following pics ideal for the mums to launch their new arrivals. in all bars and the restaurant of the Willeymoor lock Tavern on the L`gollen. I have seen many collections of all sorts in the many HIC! pubs along the canal but thought this one the best so far. The close up shows the artists easel with the tubes of paint his hat and coat hung on the side and a pot of brushes at the top Every teapot was a different subject and all could produce a cuppa ev even this Jukebox. the husband/wife lived aboard. All the paint decoration on the many items on sale was done on board. Sales were good at this spot on the Llangollen as it was a popular stopping place for holiday makers and the people in cars just out for a canal walk. and knick the breadcrumbs off the breadboard in the kitchen half way up the boat.